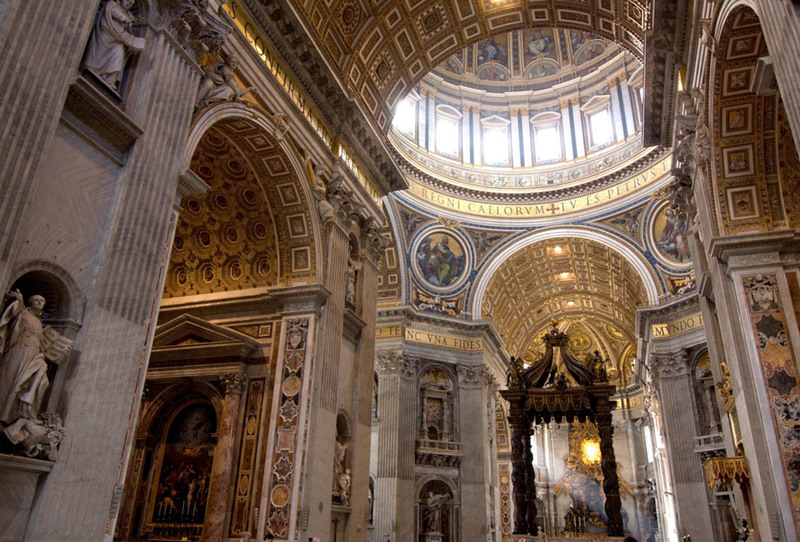 Give St. Peter’s Basilica the time it deserves on this, the most complete tour available. Climb the dome for the most beautiful view in all of Rome. You’ll also glimpse the Basilica’s mosaics up close. Skip the line into St. Peter’s Basilica and save what could be hours of waiting in line. Explore St. Peter's Basilica from top to bottom with an expert guide and small group of 15 people or fewer. 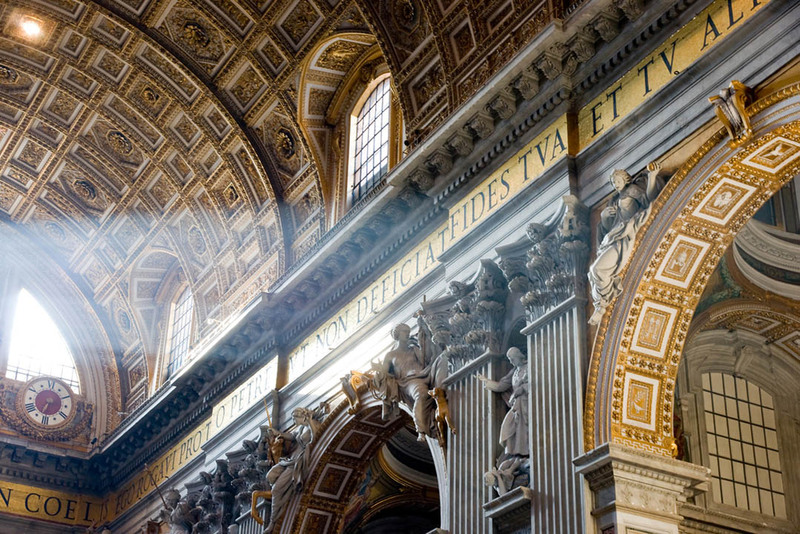 This is the most intimate and extensive St. Peter’s Basilica tour on the market, designed for lovers of great architecture and jaw-dropping churches. We’ll help you to understand the history of the building and point out the details that make the Basilica such a masterpiece. 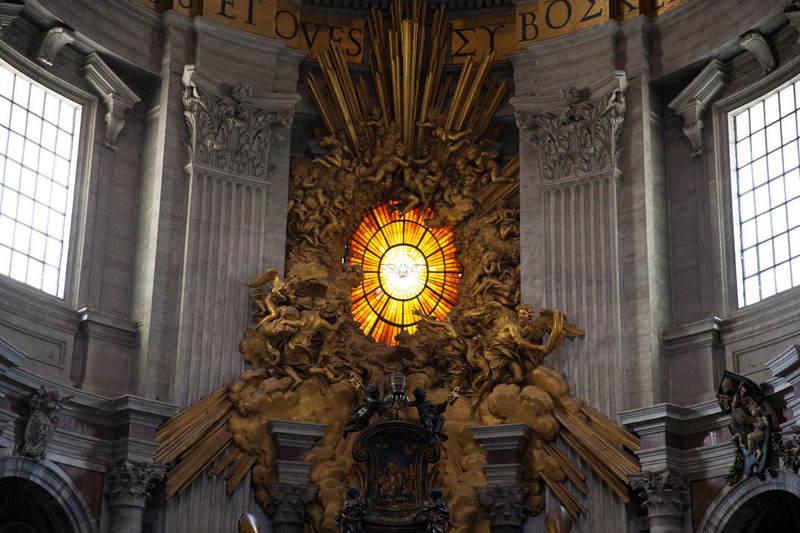 You'll go from floor to dome, Pietá to baldachin, and everywhere in between. Your St. Peter's Basilica tour starts early in the morning with a stroll around St. Peter’s Square and an introduction to the Swiss Guard. Then it's up to the dome. You’ll arrive before the crowds gather and use your pre-reserved St. Peter’s Basilica dome tickets, which include an elevator ride to the first level. Here you’ll get an up-close look at the stunning mosaics and stucco embellishments inside the dome. Seen from below, these mosaics are beautiful, but up close, you’ll understand just what impressive works they really are. From there it’s 281 steps up to the top of the dome. Before you go, your guide will give you some notes on what to look out for up there. From the top of the dome, you’ll see the most incredible views over St. Peter’s Square, along the straight avenue bulldozed by Mussolini and across the Tiber to the ancient heart of the city. There’s no competition – this is the no. 1 view in Rome. 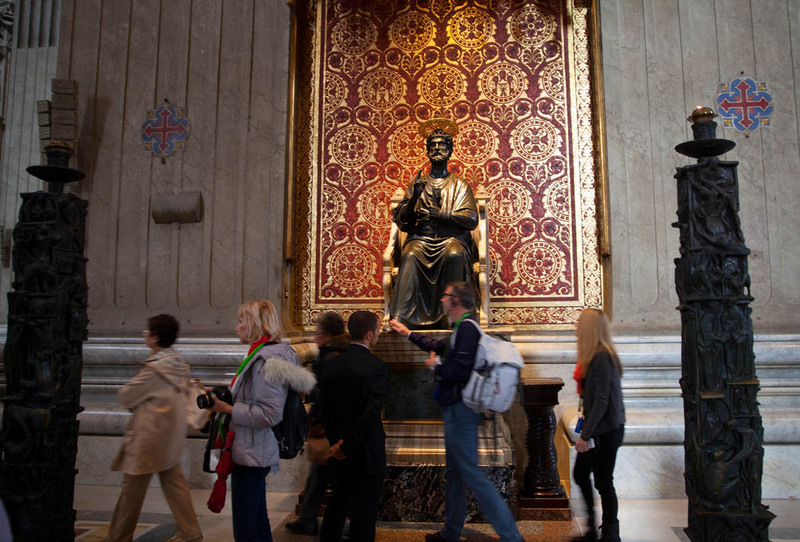 Back on solid ground, your guide will take you on a full St. Peter’s Basilica tour. 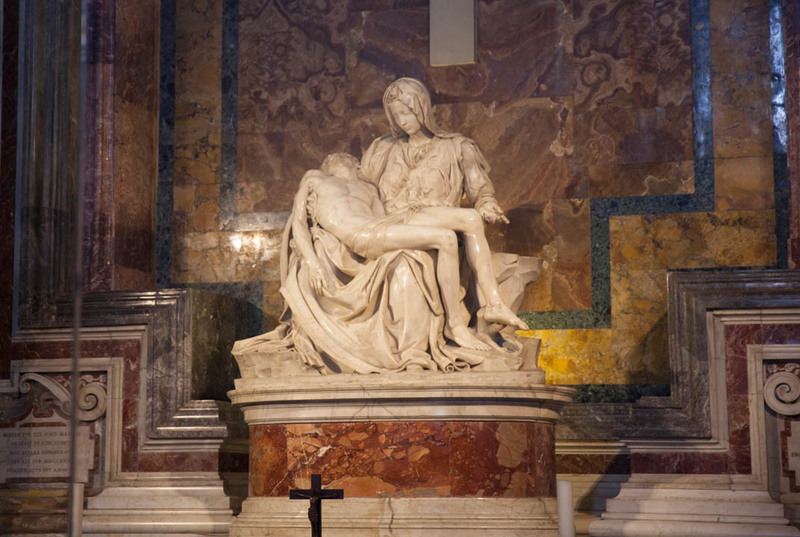 Explore the side chapels and the hidden crypts; see Michelangelo’s ‘Pietá’ and learn why this is the only work he ever signed; understand the mastery in Bernini’s baldachin; and learn how Michelangelo triumphed as the only person who could crown St. Peter’s Basilica with the perfect dome. Your final stop is the papal crypt. This is where many of the Popes have been interred and is an important pilgrimage point for Catholics. Although your guide can’t lead the group here, they’ll give you full details on the most important Popes to look out for. For anyone who loves, art, architecture, and amazing churches this is a unique experience that will be the highlight of your vacation. Camilla was friendly and professional and very helpful answering all our questions and explaining itinerary and logistics. Top service and top guide! Please remember that St. Peter's Basilica is a holy place and attire must be appropriate for the visit. Both men and women are asked to wear clothing that covers at least the shoulders and knees. Walks of Italy cannot be held responsible for denied entry due to improper dress. St. Peter's Basilica is subject to unforeseen closures due to Vatican affairs. In the event that this happens, Walks of Italy will contact you as soon as possible to reschedule. In the rare case that the tombs are closed we will spend extra time in St. Peter's Basilica and Square. Small bags and umbrellas are permitted inside the Basilica. However, large bags and objects must be left at the bag check situated at the entrance of St. Peter’s Basilica, next to the official audio-guides desk. Please note that skip the line access is not possible at the dome or at St. Peters Basilica's security line (although it is possible for guests entering via the Vatican Museums, who use a different door), so you may need to spend some time in unavoidable queues. Your guide will use the time well though, entertaining you with stories and pointing out the incredible details of St. Peter's Square.